So yeah, um, that's exactly what I just had made. Oops. John built them exactly as I asked, this was totally my bad. I completely missed that bushing restriction when designing these pieces. That bushing rule is lengthy and difficult to pay attention to the whole way through. Of course I ought to know it a bit better as I'm on the STAC - the Street Touring Advisory Committee, the group of volunteers who works to maintain the ruleset for the Street Touring autocross category of preparation within the SCCA. Duhhh! Not much commentary here, they're self explanatory. 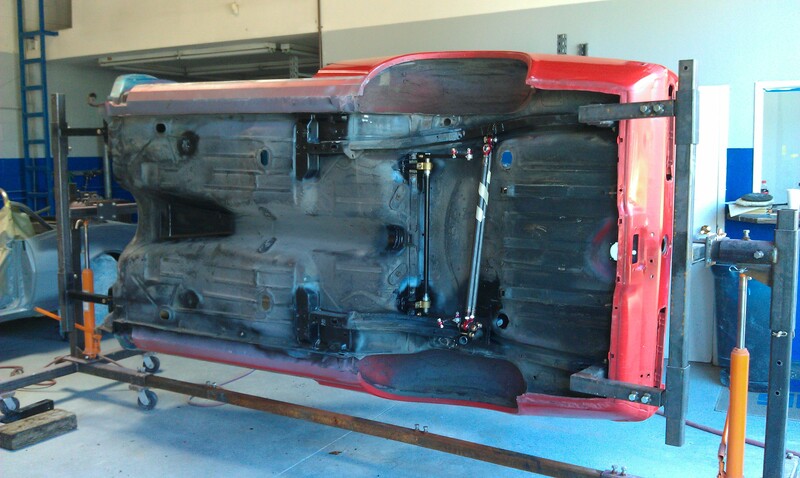 Rotating the car around on a rotisserie will help ensure a minimum amount of media gets trapped in the nooks and crannies. 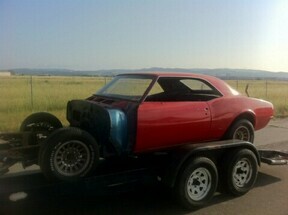 John Coffey of BetaMotorsports wrapped up his work a few weeks ago. I've been a bit busy with other things, so super stud man Ken Motonishi went and picked up the car for me. The girlfriend was a bit disappointed as I rolled it back into the garage - "It looks the same as when it left!?" 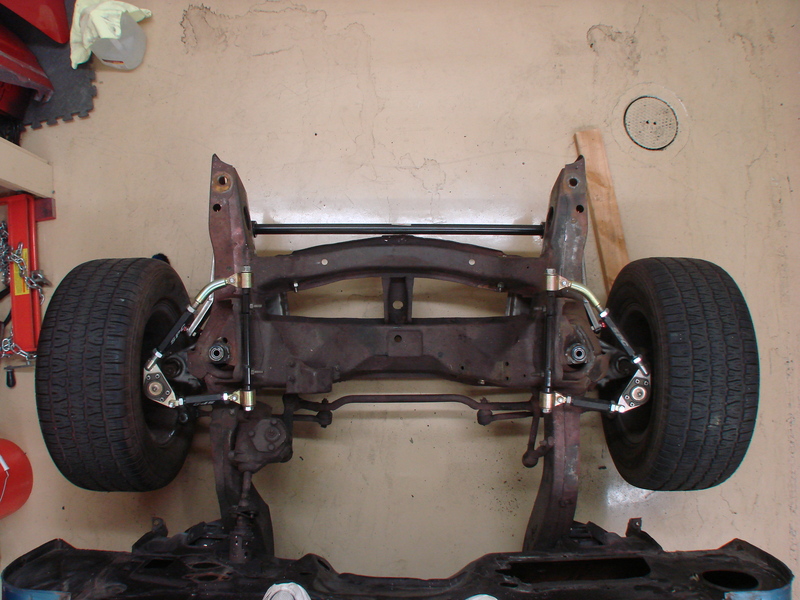 Provide adjustability to every aspect of the suspension. 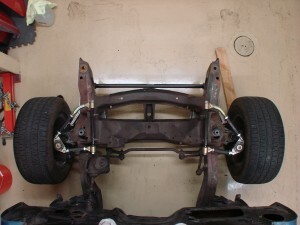 The adjustability should allow for very fine increments of change, while also offering a wide enough range of adjustment to allow for a satisfactory setting in any of the situations the car might find itself in. Minimize weight gain through Steelitis. Every net addition would have to work hard to justify its existence. 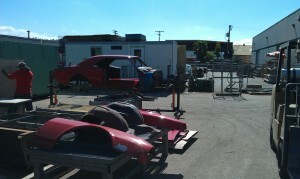 With this, the fabrication phase is complete, and phase 3, body and paint, can begin. 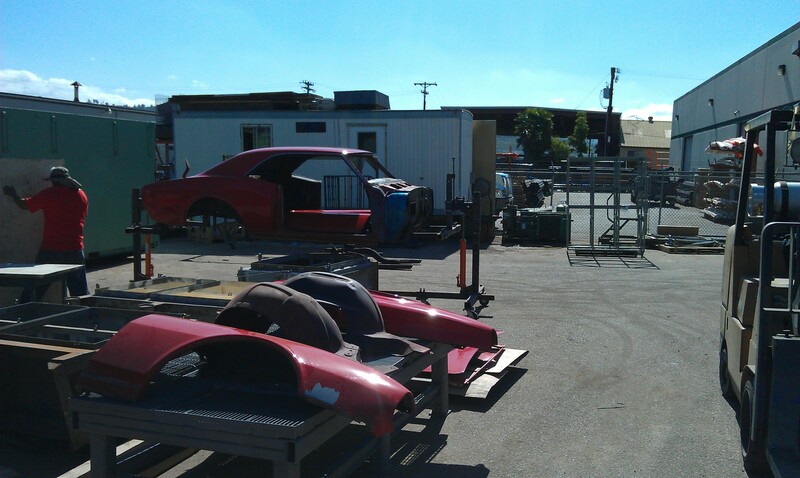 For this portion of the project, Pat Smith, a fellow member on http://www.pro-touring.com who owns a paint shop in nearby Ramona, will be doing the work. 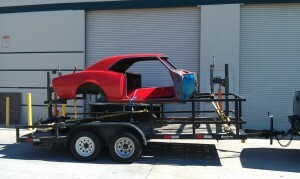 Pat has done some really great work on classic Camaros and Mustangs, and is excited to be a part of this project. I inquired with a couple different well-known shops in town, and Pat offered not only the best value, but also presented just the right sort of spirit and attitude I look for when looking for help. Now when it comes to aesthetics, I have practically zero ability and am not afraid to admit so. It is time to decide what color things should be on the car, and in so doing I intend to plagiarize to the greatest extent possible from the car that inspired this project. 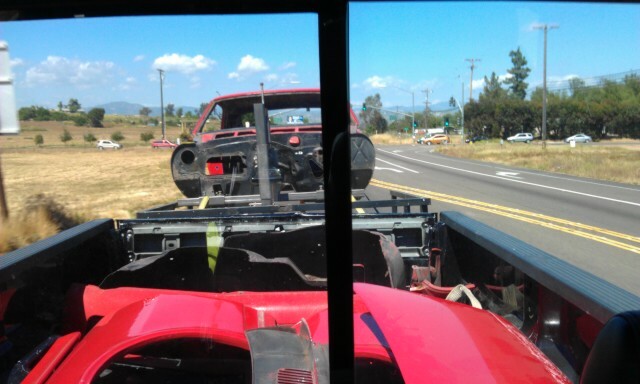 I figure there's enough trails blazed in other aspects of the car, there's no need to reinvent the wheel here. Besides, there is a singular look to these cars that evokes the awe in me. That'll be the look we aim for. 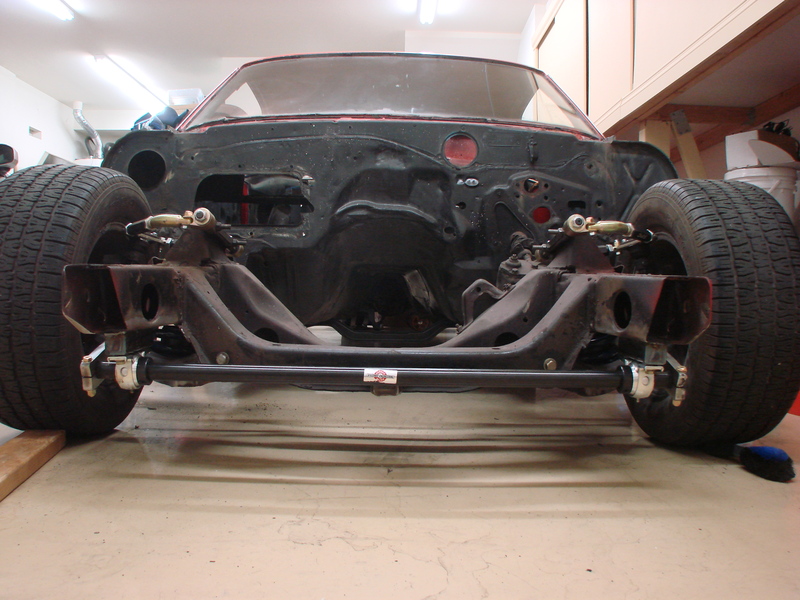 He got the front and rear suspension removed, and the car mounted up on the rotisserie. 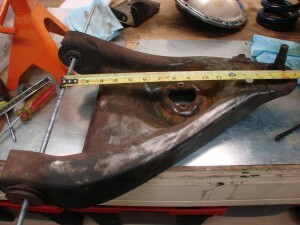 That's one advantage of going with somebody that's done several of these cars before - they know them well, and have custom-made tools like the Camaro rotisserie, to aid in the job. 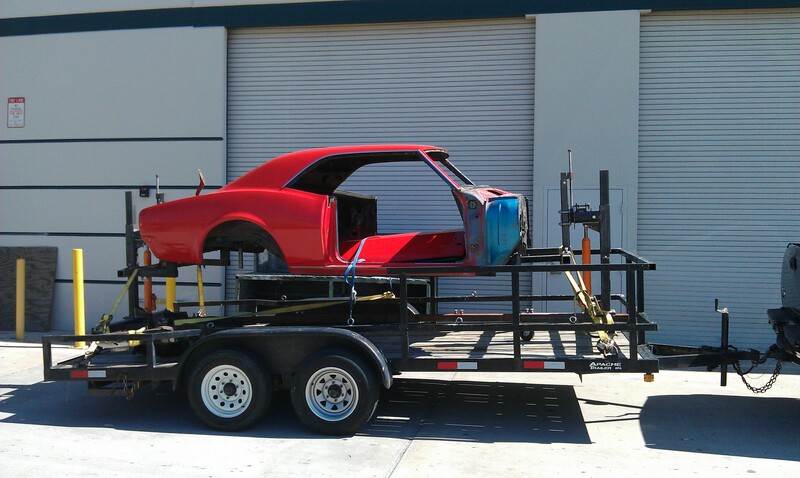 The car will get all its yucky red paint removed, then be thoroughly cleaned and inspected. As best we can tell the chassis appears practically rust-free, the paint removal this week will tell us for certain. 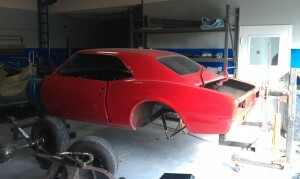 From there it's on to primer and panel fitment, and finally, paint. When it comes home from this phase, it is sure to look much much different! I know a lot of people really like this phase of projects, so I'll keep the pics coming as best I can. Getting a car to look good, and the panels to fit, is all voodoo and black magic, so I won't have too much commentary to add. I will probably sort out the steering and knuckle situation while the car is being painted, so it can get rolled out of the shop with clean new Z28-spec stuff in place instead of the funky manual stuff on it now.